Students cultivate 21st century skills, environmental literacy, and sustainable living practices. Students engage in hands-on projects and create innovative solutions to real-world sustainability issues facing their schools and communities. Teachers use EcoRise lessons to integrate activities that cultivate areas of social-emotional learning. # of student projects and products developed Increase in student adoption of sustainable living practices and environmental literacy. Increase in student aptitude and development of 21st century skills. Student portfolios & final presentations assesses 21st century skills development. Pre- & post-program surveys assesses student behavior change and attitudes in reference to sustainable living practices and environmental literacy. Teacher surveys & interviews analyze overall program effectiveness and impact. Students learn STEM subjects through the lens of sustainability, design, and entrepreneurship. Teachers integrate EcoRise curriculum into their existing STEM courses. Topics include: energy, water, waste, transportation, air, food, & public spaces. Curriculum is written to highlight the current science and engineering breakthroughs while utilizing cutting-edge technologies. Teachers use EcoRise curriculum to teach the design process, design thinking methodologies and traditional design skills such as rendering, modeling, & ethnographic research. # of STEM lessons in EcoRise curriculum Increase in understanding of STEM subjects and incorporation of STEM principles in individual projects. Increased understanding of design principles and their application in sustainability solutions. Increased understanding of business and entrepreneurship principles. Student portfolios & final presentations assesses how STEM subjects have been incorporated in projects. Pre- & post-program surveys assess student understanding of STEM subjects, design principles, business and entrepreneurship concepts. Students are exposed to careers in the fields of green technology and sustainable design. Professionals in green technology, sustainable design, architecture, engineering, and science serve as project mentors and classroom guest speakers. # of green site visits Increase exposure to new careers in the fields of green technology, sustainable design and social entrepeneurship. Increase in student interest in pathways to pursuing green careers. 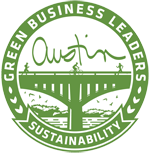 Pre- and post-program surveys – assesses interest in green careers, sustainable design, and social entrepreneurship. Students are empowered to act as leaders and creative change-makers in their community. Teachers use EcoRise lessons to integrate activities that cultivate character development and leadership principles. Increase in students who self-identify as leaders and creative problem solvers and who feel empowered to lead change and make a difference in their schools & communities. Student portfolios & final presentations assess creative problem-solving and leadership skills. Post-program surveys – assesses student confidence and empowerment. Students cultivate 21st century skills, environmental literacy, and sustainable living practices. Students engage in hands-on projects and create innovative solutions to real-world sustainability issues facing their schools and communities. Teachers integrate EcoRise lessons on technology, systems thinking, teamwork, project management, research, and creative problem solving into core subjects. Increase in student adoption of sustainable living practices and environmental literacy. Increase in student aptitude and development of 21st century skills. Student portfolios & final presentations assesses 21st century skills development. Students learn STEM subjects through the lens of sustainability, design, and entrepreneurship. Teachers integrate EcoRise curriculum into their existing STEM courses. Topics include: energy, water, waste, transportation, air, food, & public spaces. Teachers use EcoRise curriculum to teach the design process, design thinking methodologies and traditional design skills such as rendering, modeling, & ethnographic research. Increase in understanding of STEM subjects and incorporation of STEM principles in individual projects. Increased understanding of business and entrepreneurship principles. Student portfolios & final presentations assesses how STEM subjects have been incorporated in projects. Students are exposed to careers in the fields of green technology and sustainable design. Professionals in green technology, sustainable design, architecture, engineering, and science serve as project mentors and classroom guest speakers. Students make site visits to green businesses, such as solar farms, recycling centers, and water treatment facilities. Increase exposure to new careers in the fields of green technology, sustainable design and social entrepeneurship. Increase in student interest in pathways to pursuing green careers. Pre- and post-program surveys – assesses interest in green careers, sustainable design, and social entrepreneurship. Students are empowered to act as leaders and creative change-makers in their community. Teachers use EcoRise lessons to integrate activities that cultivate character development and leadership principles. Increase in students who self-identify as leaders and creative problem solvers and who feel empowered to lead change and make a difference in their schools & communities. Student portfolios & final presentations assess creative problem-solving and leadership skills.